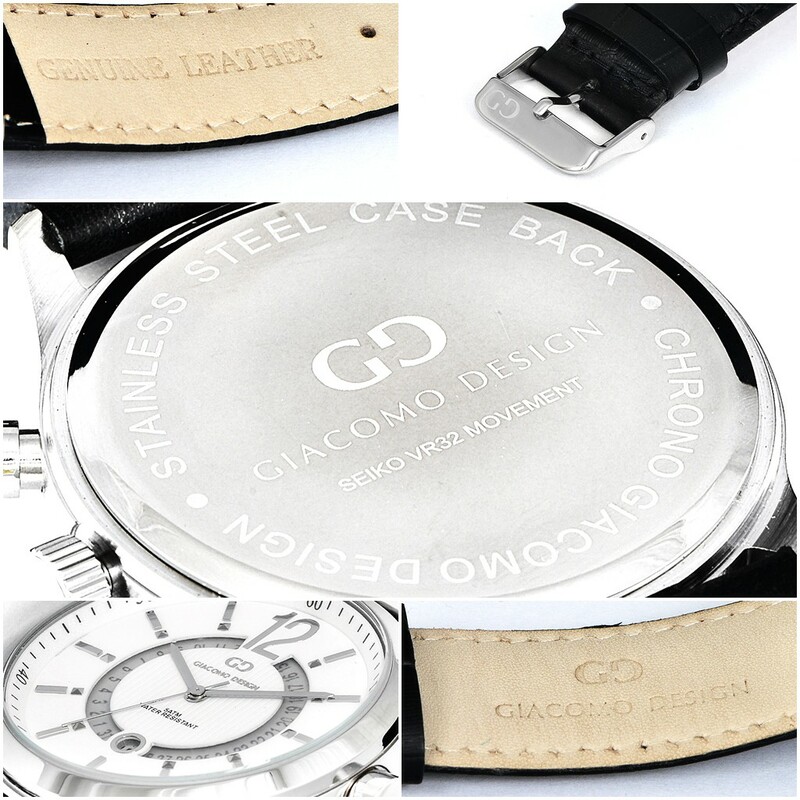 Caledario Series – Clear calendar. 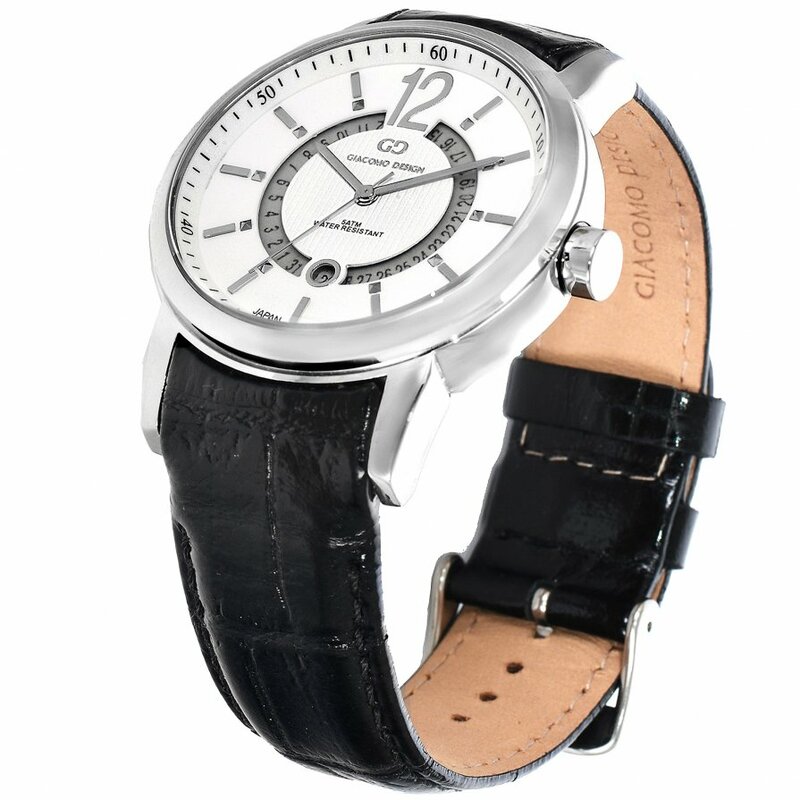 This Calendario model has a silver steel case. 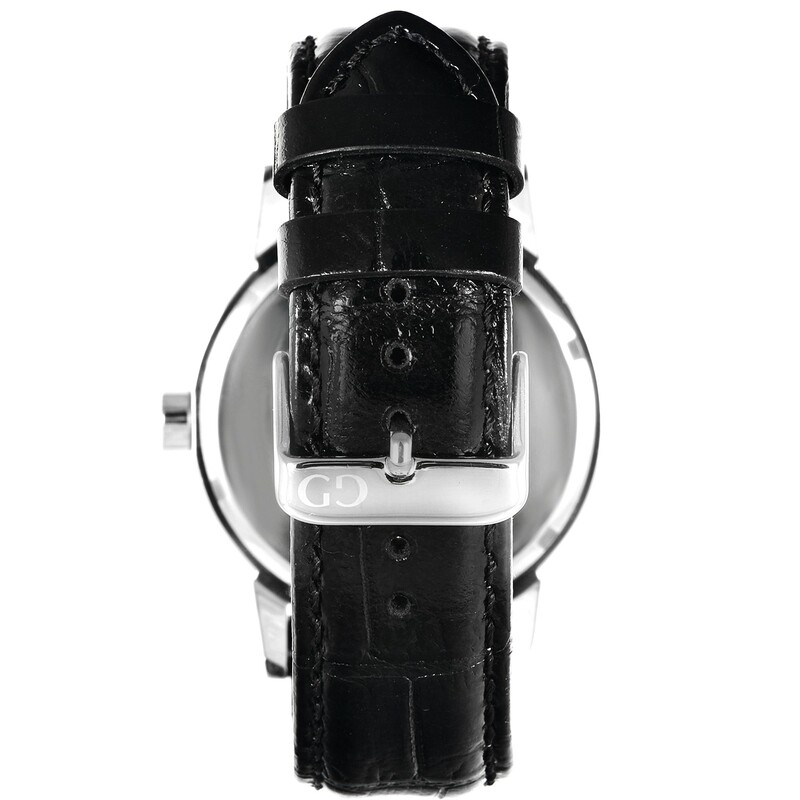 The white colour of the dial and silver indexes match perfectly to the black leather strap. 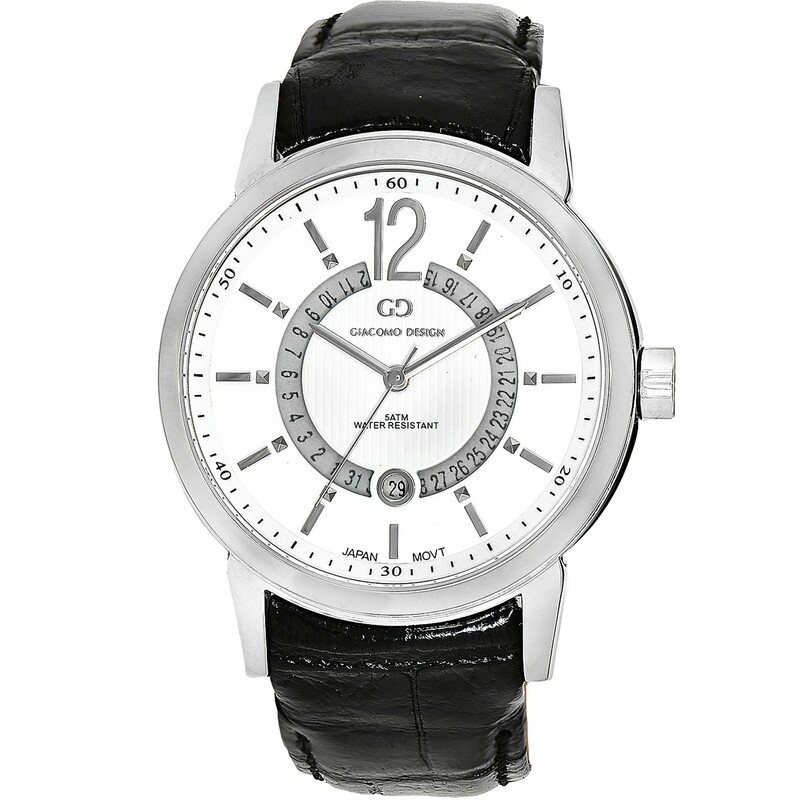 All appearance is fulfilled by a clear calendar on the dial. Very good, good quality and looks very very good.